Make the most of your Cape Cod vacation with our editor’s picks of local events. 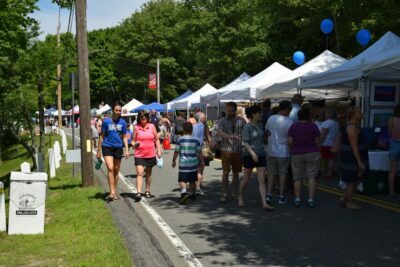 From town festivals, farmers markets, craft fairs, parades and all the events that locals and visitors love, there’s always something happening on Cape Cod! New events are always added so check back often! This family-friendly event highlights antique and classic automobiles, hot rods, and custom cars in excellent original or restored condition. All body styles are invited and displayed on the Parade Field, where registered vehicles compete for awards. Rain date is Sun June 9th. 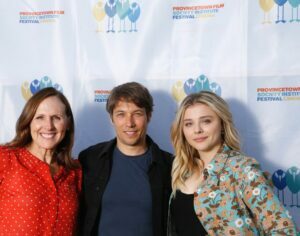 The Provincetown International Film Festival (PIFF) is a 5-day film festival dedicated to showcasing new achievements in independent film and honoring the work of emerging as well as acclaimed directors, producers and actors. This event attracts 10,000 plus film-goers, movie buffs, and arts patrons. The 5-day festival showcases over 100 American and international independent narrative, documentary and animated features and shorts as well as panel discussions and special events. 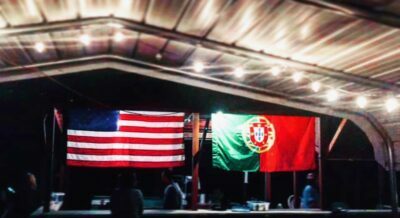 The annual Portuguese Feast is 5 to 11 p.m. Saturday, June 19 and noon to 5 p.m. Sunday, June 20 at the Holy Ghost Society of Santuit and Cotuit, 53 Main St., Cotuit. The event is free and open to the public. There will be live entertainment Saturday featuring Cross Country rock and blues band, a Caciola Dinner 5 p.m. On Sunday a Soupas luncheon will be served at noon followed by a live auction at 2 p.m. Call 508-420-2037. 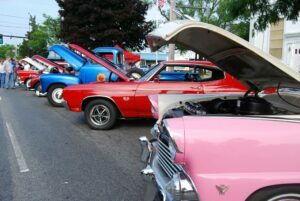 This annual car show held every Fathers Day on Main Street in Hyannis has become a tradition for so many locals! Enjoy strolling, socializing and gazing at the spectacular pieces of classic machinery at one of the largest car shows in New England, which is hosted by the Greater Hyannis Chamber of Commerce. For six days in June, screenwriting and storytelling are celebrated with over 100 films screened (features and shorts, fiction and nonfiction) and through our Signature Programs, making NFF one of the most unique destination film festivals in the world. 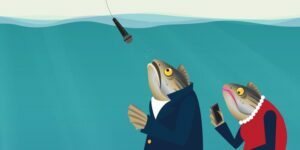 The Nantucket Film Festival screens both domestic and international features from every genre, including animation – all selected with an eye towards storytelling. Celebrate the beginning of Summer with an Old Fashioned Clam Bake. Friday, June 21, 2019. Hosted by Dennis Chamber of Commerce and Swan River Restaurant & Fish Market. Bring the whole family for a weekend of free fun – art, entertainment and food! Enjoy shopping and perusing wares from over 50 local crafters Saturday from 10am-9pm and Sunday from 11am-5pm. Wares include pottery, photography, jewelry, glass, baskets, fabric & yarn creations, baked goods, pet products and more! Additionally, there will be nearly 40 performances of music, dance, drama and fitness – something for everyone! The Festival takes place Friday, June 21, 5 to 9 PM; Saturday, June 22, 10 AM to 9 PM, and Sunday, June 23, 11 AM to 5 PM. Location: Sea Crest Beach Hotel in North Falmouth! Celebrate the first day of summer, Friday, June 21, at this fun Cape Cod event! The Quahog Day tradition has become a rite of passage into summer for many Cape Cod residents and visitors. Kicking off the summer season, Doug the Quahog makes his highly anticipated annual summer beach forecast through his human sidekick, Johnny Quahog of Quahog Republic. During the event, he’s escorted by a trusty Quahog Security Detail, a team of black-suited men and women armed with clamming rakes. 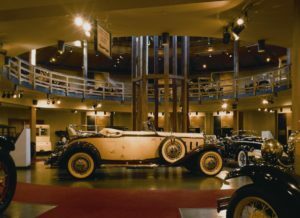 Get closeup and personal in employee-only areas when you go behind the scenes with Heritage staff for an exclusive exploration of the museum’s antique automobile collection in storage. During the tour, staff will share little-known facts and stories. $17 Members; $27 Non-Member adults, includes Museum admission. 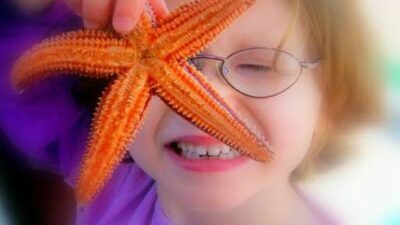 The perfect Kid-Friendly event is an annual FREE event on the tidal flats of Brewster. Explore the world under the mud, at the water’s edge and in the tide pools. Also through microscopes, catch critters and have an amazing time. Naturalists will all be on hand to help you understand our amazing natural world! Hosted by Cape Cod Learning Tours! 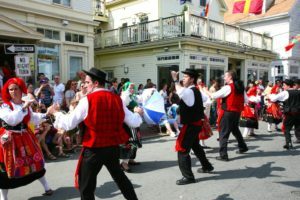 The four day event welcomes people from around the world who come to Provincetown to celebrate Portuguese Heritage & Culture. There’s live music, dancing, parades, incredible food, and much more. The Blessing Of The Fleet includes a procession to MacMillan Wharf where Portuguese Dancers entertain the crowd before the colorful ceremony. Boats decked out in their finest line up to receive the blessing for a safe & prosperous year. Free activities and lots of fun! Portuguese Festival Parade (Sat, 3 – 5 pm) . Blessing Of The Fleet (Sun, 1 pm). Location: Sandwich Village, Town Hall Square, along historic Shawme Pond. Chatham’s Independence Day Parade is one of the oldest in the United States. It attracts over 20,000 spectators and showcases the pride of the community, its visitors, and residents. 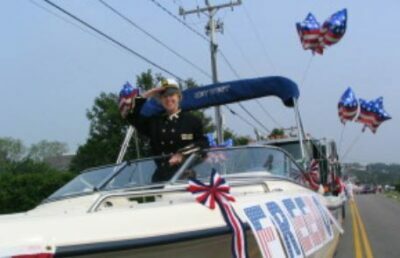 The Chatham Independence Day Parade starts July 4th at 9:30am. Get to town early to find a spot from which to watch. The theme for the 2019 parade is: “Chatham Honors You! 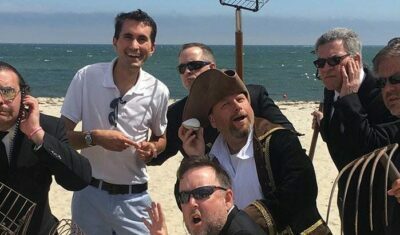 Nantucket Comedy Festival is an annual summer event that brings top comedic talent to Nantucket Island as the major fundraiser for Stand Up & Learn, an island-based, year-round comedy education program serving Nantucket’s children. Our annual events include the Stand Up & Learn Kids’ Night Performance, Ladies’ Night, the Boston vs. New York Comedy SmACKdown, and more. 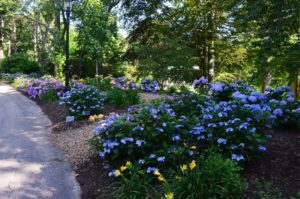 The annual Cape Cod Hydrangea Festival returns – see the expanded North American Hydrangea Test Garden, the Cape Cod Hydrangea Society’s superb Display Garden, participate in workshops, purchase plants, and tour Heritage’s gardens, which now include eight species of hydrangeas and over 170 exceptional cultivars. The Nantucket Yoga Festival brings together the very best yoga instructors, wellness experts and healthy living guides for one inspiring weekend. The weekend includes Workshops and Classes as well as a vendor area. The Nantucket Yoga Festival begins with a bang — live music, inspiring speakers and a slackline yoga performance at the Westmoor Club. Other highlights are Morning Meditation on the Beach, Roll and Realign / Massage Therapy, Slackline Yoga / Circus Yoga. Paw Palooza is “paws down” Cape Cod’s biggest, wildest and most entertaining annual dog festival! 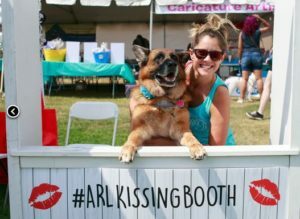 The two-day extravaganza features entertainment, activities and food for dogs and their people! ADMISSION: $7 donation. Kids under 12 & dogs FREE! Event proceeds stay on the Cape and support the animal welfare organizations. List your event with us, send your event info to events@enteringcapecod.com!